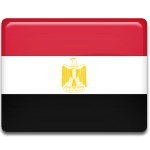 January 25 marks 25 January Revolution Day in Egypt (also known as 2011 Revolution Day). The day celebrates the beginning of the Egyptian revolution of 2011. The Egyptian Revolution of 2011 was a movement, that followed a popular uprising that began on January 25. The revolution consisted of numerous demonstrations, plaza occupations, marches, riot, non-violent civil resistance, strikes and civil disobedience. The protesters demanded the overthrow of President Hosni Mubarak. Number of grievances caused the protest against the running government: police brutality, lack of free elections, corruption, numerous economic issues such as high unemployment rate and low wages. The protesters demanded the immediate end of Mubarak regime. President Mubarak resigned only on February 11. The leadership of the country was entrusted the Supreme Council of Egyptian Armed Forces. This immediately was followed by nationwide celebrations. Military dictatorship was retained till the presidential elections, that took place on June 25, 2012. Mohamed Morsi became the first democratically elected president in the history of Egypt.